A complex preparation for pre-workout use, during building muscle mass as well as during reducing body fat periods. 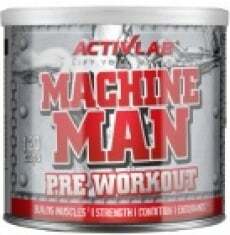 Have a question about Machine Man Pre Workout? What is it, what does it do, how and when to use or something else? Ask us.